Nintendo of Europe is hosting a rather special version of its usual My Nintendo Rewards update at present, allowing players to exchange their gold coins for full games rather than just discounts. 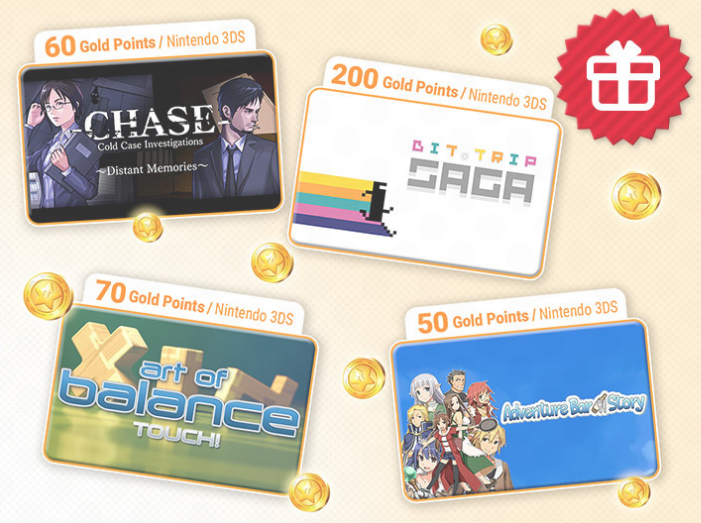 Four titles in total are up for grabs, all for the Nintendo 3DS. On the more expensive side of the spectrum is BIT.TRIP SAGA, a collection of titles from the hugely popular BIT.TRIP series, and RPG Adventure Bar Story sits at the other available in full for just 50 Gold Points. You can grab these games for yourself by simply using the required Gold My Nintendo Points here. We also shared a recent update which follows the reward programme's usual setup just yesterday, with games like Captain Toad: Treasure Tracker, EarthBound, and Luigi’s Mansion 2 all available at discounted rates. Thanks to Nintendo Life user lifer for the tip! I can't make up my mind about getting Bit.Trip for 3DS or Wii. On 3DS you have the 3D effect, and it sells very cheap physical (second hand, of course), but Wii version has more levels and if previous owners haven't kept it there is also a soundtrack CD. The problem is that version is clearly more expensive. I won't get it digital, but I guess I'll end up buying it for 3DS for small change anyway. @Moroboshi876 It runs better in general on Wii as well even with the 3D effect turned off. @Moroboshi876 The Wii version is much much better, because of the superior controls (you twist the Wiimote to move the paddle). Get it. I have both and the only part that works on the 3ds is Runner. Edit: Core also works well (just booted it up and tried). But in my opinion, Beat and Flux are the best parts of the series, and the stylus controls on the 3ds takes away most of the fun and immersion of those. @OrangeCluster @Strumpan Thanks, guys. I wasn't aware the 3D version was that broken. I just thought it had less levels but liked the 3D effect as a feature. I'll keep looking for a complete version of Wii's Bit.Trip under 15 euros. 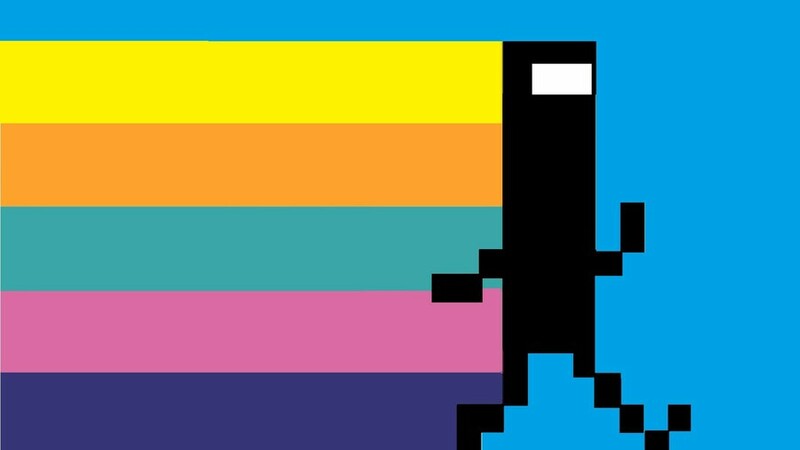 Slightly off-topic but I wish they’d port Runner + Runner 2 to Switch. 3 is ok, but 1 + 2 are way better. Played them to death but I’d buy them again day 1. I would probably get Adventure Bar Story if it was available here. Wake me up when I can get late Club Nintendo tier rewards let alone True Club Nintendo quality. The 3DS version of Bit.Trip isn't the best version, but if you have 200 coins to blow and never played it, then it's a pretty fantastic free game. Otherwise, Art of Balance is a big recommendation for 70 coins. I was extremely ill a while back and could barely leave my bed. The medicine I was on had me too goofed up to play anything fast-paced or requiring a lot of reading/thinking. I basically just zoned out and stacked some wooden blocks in bed until I got better. Neat! Especially Bit Trip Saga and Adventure Bar story I've considered on many a sale before. I don't have enough for all four games now, but I expect that to change by the expiry date (especially with Nelke out on March 30, if you know what I mean 😂 ). 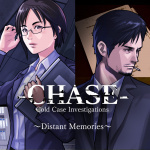 That Chase game could been actually good if it had been longer, too bad that never came (long version of Chase). I saw the thumbnail image and thought maybe we were getting Bit Trip Complete on Switch. Wish it would happen. I guess we have to wait for the switch's successor to come out before we get rewards for the switch? Siiiigh....If only the North American My Nintendo would do something like this. I'd be tempted to grab Adventure Bar Story otherwise. I hate how NoA just stopped doing this entirely. It felt like my gold coins actually went to something worthwhile, but now they feel worthless again. Shovelware as always, but it’s better than nothing. Bit Trip is decent. Finally something mildly interesting from My Nintendo. Adventure Bar Story and maybe Chase for me. Although, I still haven't played much with games I got for gold points half a year ago for the 3DS. Meanwhile, the Switch will be 2 years old soon. Come on, Nintendo, when will Switch rewards finally come?! Will keep saving my gold points to buy entire switch games. got the cold case game. Was a fan of the ds games and thought why not. There is worse things I could do with my points. Enjoyed Art of Balance on Wii U. Would likely grab all of these if they were available Stateside. @Azikira NOA has largely just done discounts of between 10 and 40% on a few select titles for 3DS and Wii U, especially the VC. Would be nice to see a few more rewards offered for Switch at this point, as well as a few titles like these. It's easy to forget about it as that was the last time these rewards were offered to us on some pretty decent titles. Woo, more games that no one cares about!